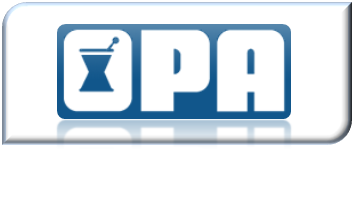 This OPA award may be given to any person who has made an outstanding service contribution to OPA. The Executive Committee is responsible for the selection of the Keys Award recipient. There is no public call for nominations for this award. This award recognizes a pharmacist, practicing within the geographic area represented by OPA, who has demonstrated innovative pharmacy practice resulting in improved patient care, emphasizing the very important role that pharmacy has in providing patient counseling. Sponsored by a grant from Elan Biopharmaceuticals, the award is a limited edition framed print of a pharmacist providing patient counseling, as well as a specially struck medallion. Nominations are sought from the general membership. recipient must not be currently serving, nor has he/she served within the immediate past two years as an officer of the Association other in an exofficio capacity or its awards committee. recipient must have compiled an outstanding record of community service, which apart from his/her specific identification as a pharmacist, reflects well on the profession. This award recognizes a pharmacist of the Ohio Pharmacists Association who has made major contributions to the public through government and/or legislative service/education at the local, state or national level. This activity must have raised pharmacists' awareness of legislative issues impacting the profession, and impacting the passage of favorable legislation for pharmacy. This award recognizes a member pharmacist of the Ohio Pharmacists Association who has made major contributions to the public through continuous service to the community in public relations activities for the profession of pharmacy. This may be accomplished through television, radio, newsprint or community presentations on careers in pharmacy, poison prevention, medication awareness, etc. In accordance with the wishes of the founder of the award, Dr. James Beal, the award honors any person who has given service beyond the call of duty and who has done the most for pharmacy during the years, or whose contributions to the advancement of pharmacy within the State of Ohio over a period of years, has been most outstanding. There are no public calls for nominations for the Beal award. Nominations are not covered over. The Awards Committee shall propose a nominee to the Board of Trustees. The Board of Trustees may make recommendations to the Award Committee. Entry degree in pharmacy received less than 9 years ago. participation in national pharmacy associations, professional programs, and/or community service.